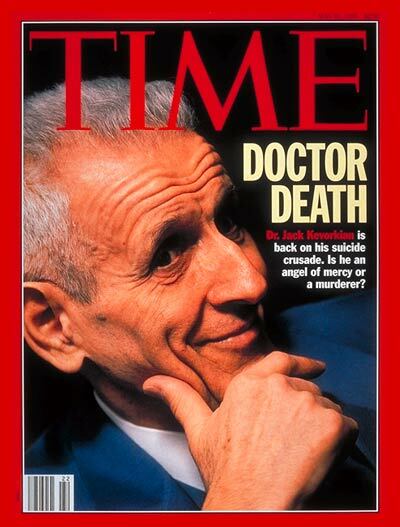 From Diversityinc.com The release of Dr. Jack Kevorkian, the famed “Dr. Death,” raises the issue of assisted suicide again and has some disability activists enraged. What’s making it even more contentious is a recent poll alleging growing sympathy among Americans for this practice. His parole comes after serving eight years of a 10- to 20-year sentence for the second-degree murder of Thomas Youk in 1998. Kevorkian reportedly has assisted the suicide of 130 people. Not Dead Yet is up in arms over another issue as well. A May 22-24 Associated Press Ipsos Poll of 1,000 adults on the right to die found that 48 percent thought that assisted suicide should be legal and 53 percent believed Kevorkian should not have been jailed for assisting terminally ill people in ending their own lives. Not Dead Yet disagreed with the way the poll asked the question, believing they were biased. Drake refers to the videotape of Youk’s death aired on “60 Minutes.” The tape showed that Youk was unable to press the button that would deliver the fatal drugs to his system. Instead, Kevorkian did it for him. This was proof for the courts that Kevorkian had overstepped legal boundaries, and he was sent to jail in 1999. According to the National Right to Life, Kevorkian’s other assisted suicides were just as inappropriate. “Autopsies performed revealed that more than half of Kevorkian’s 130 known victims were not terminally ill. Most were disabled with conditions such as multiple sclerosis. In fact, several had no serious physical illnesses that could be determined upon autopsy,” wrote Wesley J. Smith, a keynote speaker at the upcoming NRLC ‘2007 convention. Kevorkian plans to continue fighting for the legalization of assisted suicide. As of now, Oregon is the only state that has an assisted-suicide law. Kevorkian is set to appear on “60 Minutes” on June 3. The show will feature an interview with Mike Wallace. This entry was posted in Politics by nstadm. Bookmark the permalink. Justin Trudeau Gave $20 MILLION In Canadian Taxpayer Money To The Clinton Foundation in July! For what?? ?